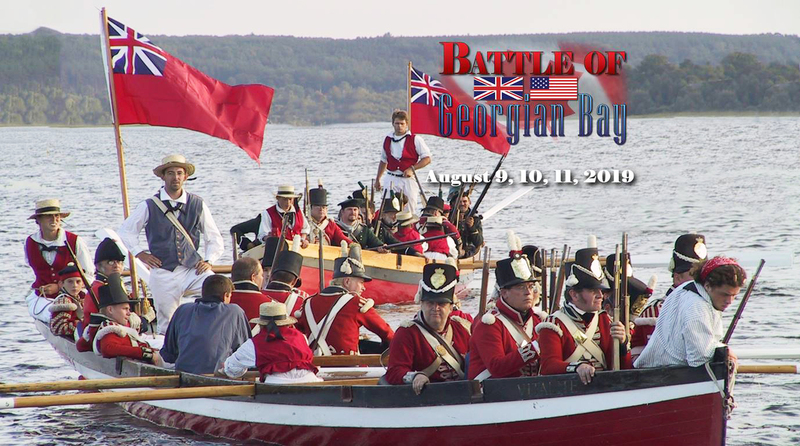 (MIDLAND, ON) Following the success in 2013, the Town of Midland is thrilled to announce that the Tall Ships Challenge Ontario Tour will be returning to Midland Harbour August 9-11, 2019, with historic fun and entertainment for the entire family. “This event was a great success in 2013, and we're eager to welcome them back again next summer," said Mayor Gord McKay. “There are so many historic attractions in our region, having these ships grace our harbour again just adds to that theme." Live entertainment, vendors, food, a lumberjack competition, buskers, bounce castles and more! “Over the last few years tourism in our community has really g​rown thanks to the number of quality events we hold each year," said Mayor-elect Stewart Strathearn. 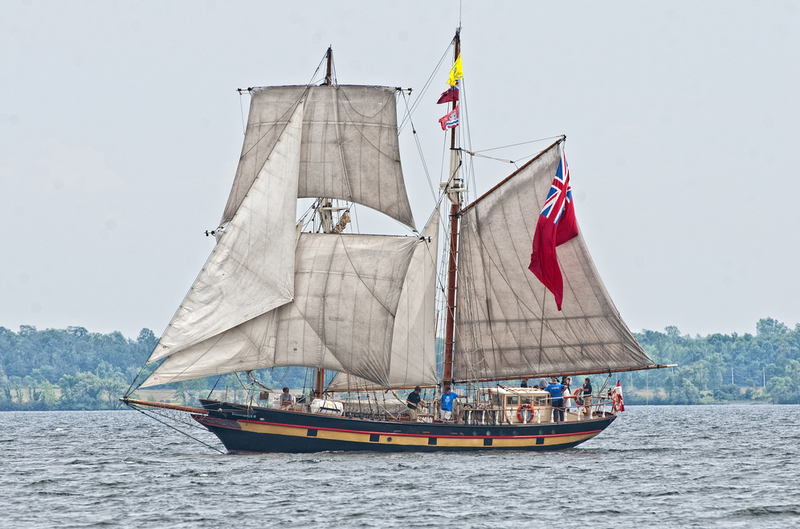 "The Tall Ships Challenge Ontario Tour is another amazing event that will clearly make Midland the place to be in the summer of 2019." To prepare for the event, the Town of Midland will be offering sponsorship packages, accepting vendor applications, and looking for volunteers. “An event of this magnitude brings a lot of people to our region, and we know many of our residents and community partners will want to get involved," said Nicole Major, Town of Midland Tourism and Special Events Manager. “We are looking forward to working with all of them, and we are very excited to hold this event again in our harbour!" 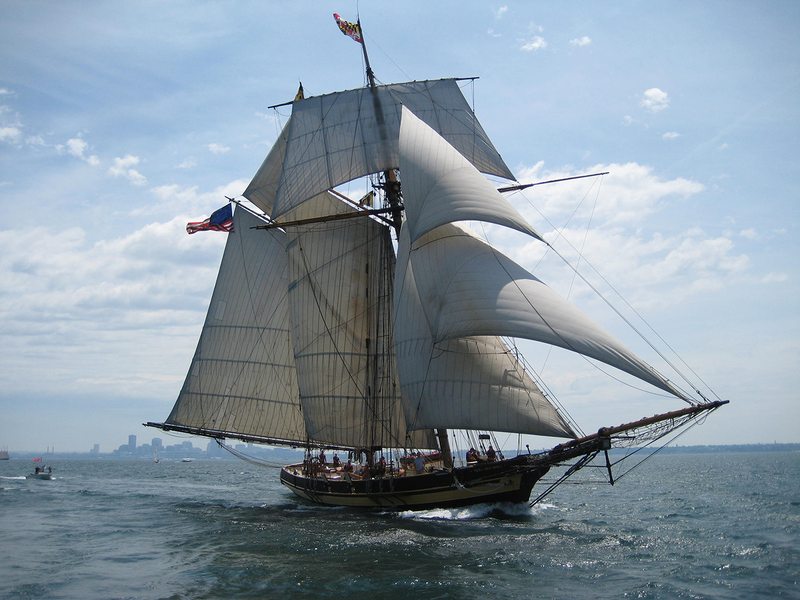 ​Pride of Baltimore II is a topsail schooner built to the lines of an 1812-era Baltimore Clipper. She is Maryland's working symbol of the great natural resources and spectacular beauty of the Chesapeake Bay region and a reminder of America's rich maritime heritage. Pride of Baltimore II's mission is to educate the public on Maryland's maritime history, tradition and commerce opportunities. Pride of Baltimore II is available for charter and for dockside and sailing receptions in each of her destinations as well as public day sails. She can accommodate up to six paying passengers as “working guest crew" between ports of call. Pride of Baltimore II maintains an international sailing schedule. She sails with two rotating professional captains and a crew of eleven. Crew positions are open to qualified men and women sailors. ​Brigantine Incorporated is a registered charity dedicated to empowering, connecting, and inspiring youth through the challenges of sailing a traditionally rigged ship. Through experiential learning and skills development we build confidence, strength, and leadership in our ship's crew. The unique shipboard environment we provide forges friendships, teamwork, and a sense of responsibility to the community. Our sail training programs broaden horizons and inspire our youth to be a positive force in the world. Brigantine Incorporated is also committed to preserving rare maritime skills and heritage, promoting respect for our natural environment, and providing the training and experience required to become an outstanding professional mariner. The S.T.V. St. Lawrence II is a custom built sailing ship that serves as a platform for immersive outdoor adventure programs. The Ship was built by Kingston shipyards in 1953 to a design by Francis MacLachlan and Mike Eames. The ship was designed with a level of complexity built in which requires a high degree of teamwork. ​Playfair was constructed for Toronto Brigantine Inc. in 1973 as an addition to an already established sail training organization. During the Royal Visit to Canada in 1973, HRM Queen Elizabeth II christened Playfair at her launching in Kingston on Wednesday, June 27 with Pathfinder docked just astern; Prince Philip was in attendance. She was commissioned by Her Majesty Queen Elizabeth II in 1974, and remains the only Canadian ship to be commissioned by a reigning monarch. Although very similar to sister ships Pathfinder and St. Lawrence II, there are several minor structural differences such as a wider transom and a slightly larger freeboard. Since 1974 Playfair has conducted sail training on the Great Lakes with occasional summer voyages down the St. Lawrence River to the Atlantic. ​Madeline is a reconstruction of a mid-19th-century schooner, typical of the trading schooners that once sailed the Great Lakes. The original Madeline was the first Euro-American School in the Grand Traverse region and for a short time served as a lightship in the Straits of Mackinac. 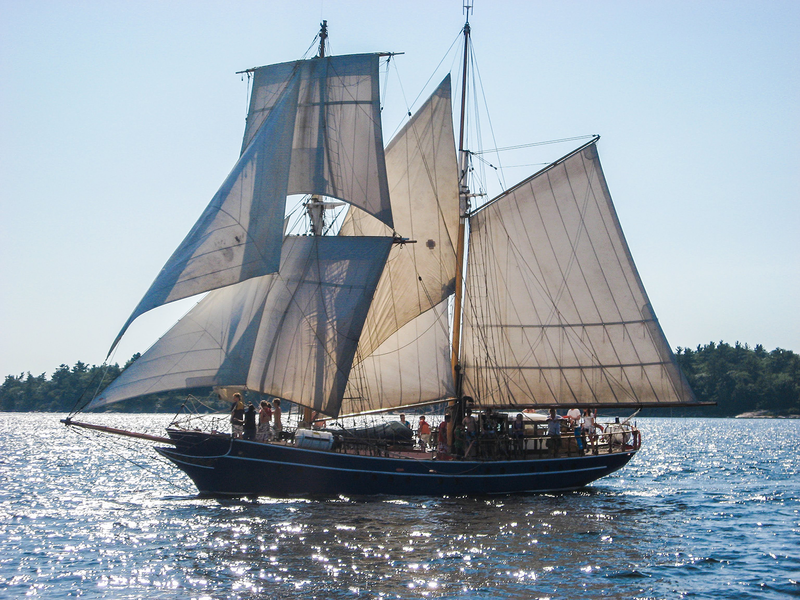 Launched in 1990, the modern Madeline was built over a period of five years by volunteers of the Maritime Heritage Alliance (MHA), using traditional methods and materials. 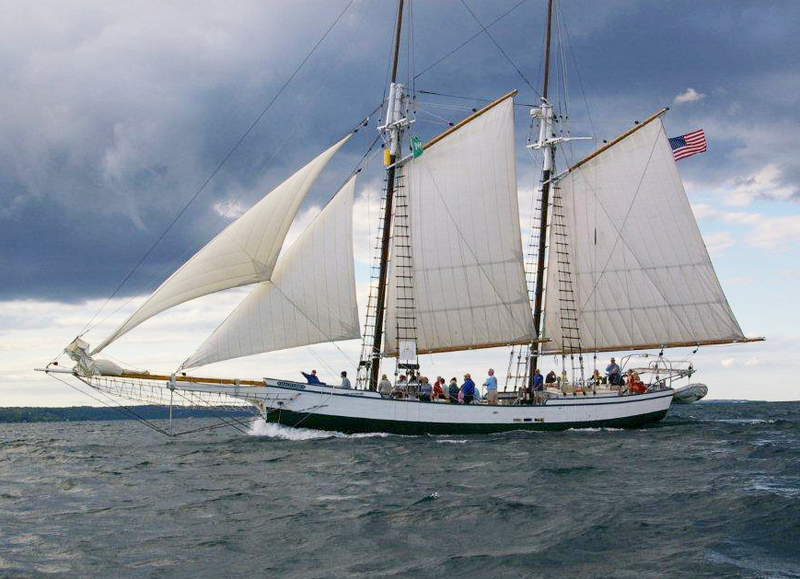 From her homeport in Traverse City, Michigan, she has sailed with her volunteer crew on all five Great Lakes, visiting over 60 ports with dockside tours and historical interpretation. Madeline is designated as the City of Traverse City's goodwill ambassador. Crewmembers, trained as historical interpreters, share their knowledge of history, marlinespike skills, and wooden boat building. School programs with special hands-on activities are also available. The Maritime Heritage Alliance, a nonprofit organization, is dedicated to preserving, interpreting, and sharing the maritime heritage of the Great Lakes.